Carriers are starting to look more like cloud companies, turning to standard hardware, virtualization and machine learning for rapid development of new services. AT&T helped drive that trend on Wednesday by releasing ECOMP, the operating system of its software-defined network, as open source through the Linux Foundation. Like Linux, ECOMP will become a codebase that many different companies and developers – potentially even AT&T's rivals – collectively create and define into the future. AT&T is evolving from a traditional carrier with a limited menu of services to an agile service provider that can quickly adapt to customer’s needs and constantly tune its own systems for reliability and performance. Its virtualized, software-defined network, among the first of its kind at a telecommunications carrier, is the engine driving that change. The big data that the company collects about the use of its network helps it to improve the network and add features, AT&T says. At an event in San Francisco on Wednesday, AT&T introduced the latest version of the network, which it calls Indigo. Going from hard-wired to software-based networks can help enterprises as well as the carriers that sell them services. AT&T’s FlexWare systems, introduced last year, pare down the equipment needed at a business customer’s site -- from several separate boxes, like routers, firewalls and load-balancers, to one standard x86-based system the size of a pizza box. Network functions become pure software, so the customer can swap out one flavor for another. 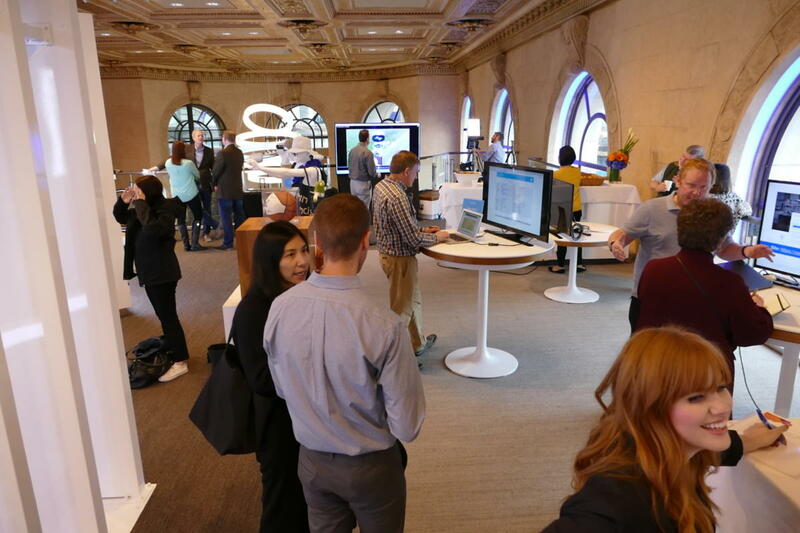 It’s also possible to spin up and take down the resources for a special event like a virtual-reality meeting on the fly, said Chris Rice, senior vice president of AT&T Labs. “Using ECOMP only makes sense if it is open source,” Leboucher said in an interview Wednesday. Like giant webscale companies, AT&T sees a role for big data and machine learning to constantly improve its services. Artificial intelligence systems can sense and analyze problems and eventually learn to predict and prevent them. Someday customers will never need to call a support line, said Mazin Gilbert, vice president of advanced technology at AT&T Labs. The carrier is also strengthening security and privacy in the network with new authentication and encryption tools, Rice said. Partners, like companies and agencies involved in a smart-city initiative, might do more if they could combine their data, but without strong authentication they don’t consider it safe, he said. One possible authentication tool AT&T brought up at Wednesday’s event was Hyperledger, a blockchain project of the Linux Foundation. AT&T is releasing ECOMP under an Apache 2 license. It's essentially the framework for a catalog of services, but doesn't include AT&T's own services or policies, Rice said.